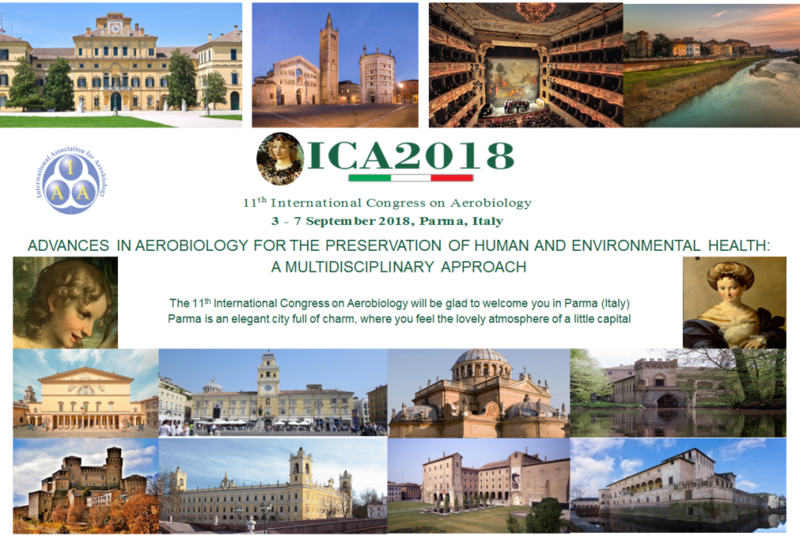 The 11th International Congress on Aerobiology will take place in Parma (Italy) for 3 to 7 of September, 2018. The Congress may still seem far away, but it is approaching fast. Some Associations and Societies are promoting useful grants for the participation of young researchers. Springer Journal “Aerobiologia” will present a special issue to the conference (ADVANCES IN AEROBIOLOGY FOR THE PRESERVATION OF HUMAN AND ENVIRONMENTAL HEALTH: A MULTIDISCIPLINARY APPROACH) dedicated to the publication of short communications peer per view, among all those who will have an oral presentation during the congress. For this, there will be a special place for young researchers and for better abstracts sent.